In partnership with Warner Brothers, Police have produced a limited edition box set for the Justice League movie. There are only 500 pieces available worldwide. Featuring the limited edition Justice League watch 14536JQ/02P, as well as 5 other unique Police watches inspired by the Justice League. These watches have design cues directly from the iconic characters including the Flash, Batman, Aquaman, Cyborg and Superman. 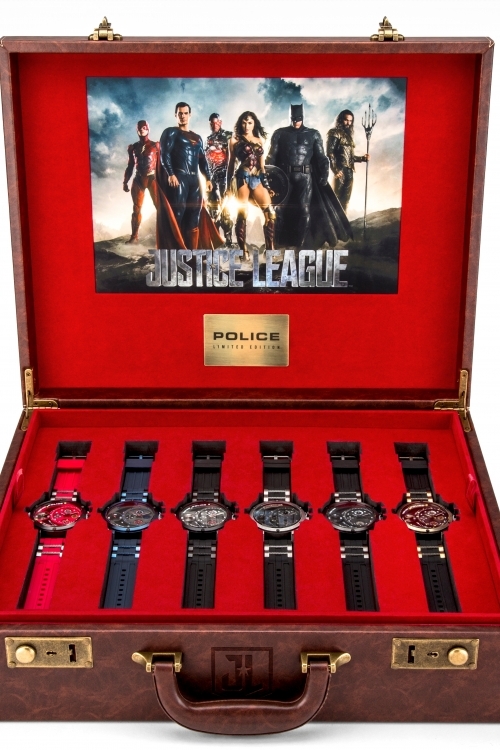 The watches are all presented in a leather briefcase, with numbered detailing, and embossed Justice League insignia and details of the set, and also comes with one-off Police and Justice League memorabilia. Available for purchase on 16th October 2017.